Insecure and unstable describe life in Venezuela. The country is running out of food. It has recorded more murders — 28,000 in 2017 — than countries at war. Venezuela’s population of 30 million people is decreasing, with more than 4 million emigrations in the past 10 years. Yet this family never intended to leave. Theirs is a story of a God-ordained exodus from their home country. 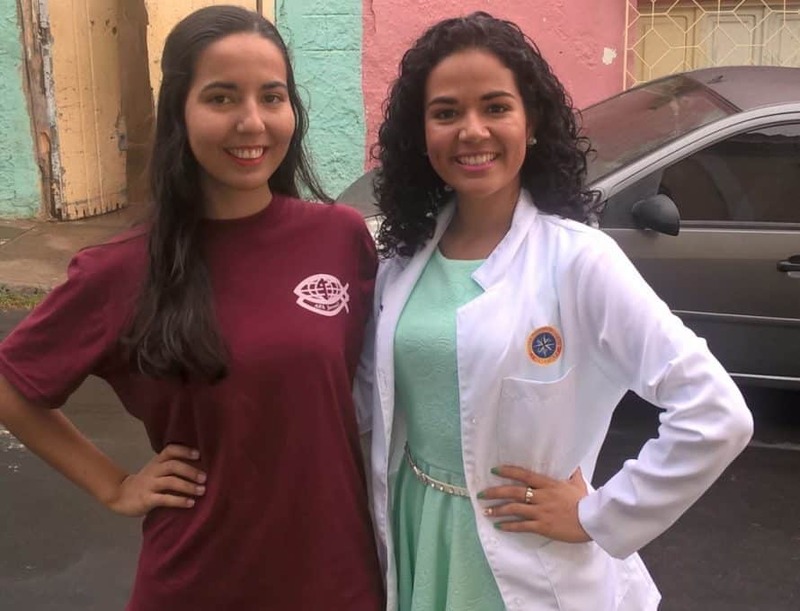 Maria* and her older sister, Elisabeth,* were both in medical school in Venezuela. Maria and her friend were robbed while waiting for the bus to take them to classes. Later, she witnessed a mobbing. Then, a friend was killed during a peaceful march. All of this happened within a week. Maria knew she needed to leave. So, she moved to Chile. Maria’s parents, Aristotle* and Lily,* ministered in a low-income area of Venezuela for 18 years. When they began their ministry, most of their congregation had low expectations of life and little hope for a good job. Through Aristotle’s and Lily’s faithful service, the congregation now has a God-centered view of life. God used this couple to change countless lives while their country started to slowly implode. Aristotle and Lily’s home was being watched by a local gang. The constant insecurity around them prompted countless friends and church members to search for a better life in other countries. Yet Aristotle and Lily intended to stay — until God led them to go. “God showed us bit by bit that we were to leave Venezuela,” Lily said. God opened doors for Aristotle in Chile. The day after he arrived in Chile, he visited the church his daughter Maria attended. Within a month, the church asked if he would be their pastor. After Elisabeth graduates from medical school in Venezuela, she and her mother plan to join Aristotle and Maria. Your gifts through the Cooperative Program and the Lottie Moon Christmas Offering® support Southern Baptists who work alongside national believers such as Aristotle and Lily to share the hope of Jesus Christ with people in places of unrest and conflict. Thank you for giving. Watch and read more about the desperate situation affecting Venezuelans: What’s Going On, What is God Doing, and How Can You Help? Learn more about American Peoples, including Fast Facts about the peoples of the Americas. You can pray now for American Peoples.